I slept pretty hard last night and woke up sweating and with a sore throat. Yep, it’s that time of the month again. Dang, I was hoping to make it one more day before dealing with this. I knew this was coming and I have today and tomorrow to hike full days and then a nero and a zero planned. It lands perfectly to zero with more old trail friends that those of you who followed my past hikes will enjoy. The cameos are not over yet! As for this morning, I slept in and got going at 7:10am, which is pretty late for me. I’ve planned shorter days this leg knowing the hiking should be more difficult and that I would not be feeling well. I was still excited for the trail is improving and the weather is great! 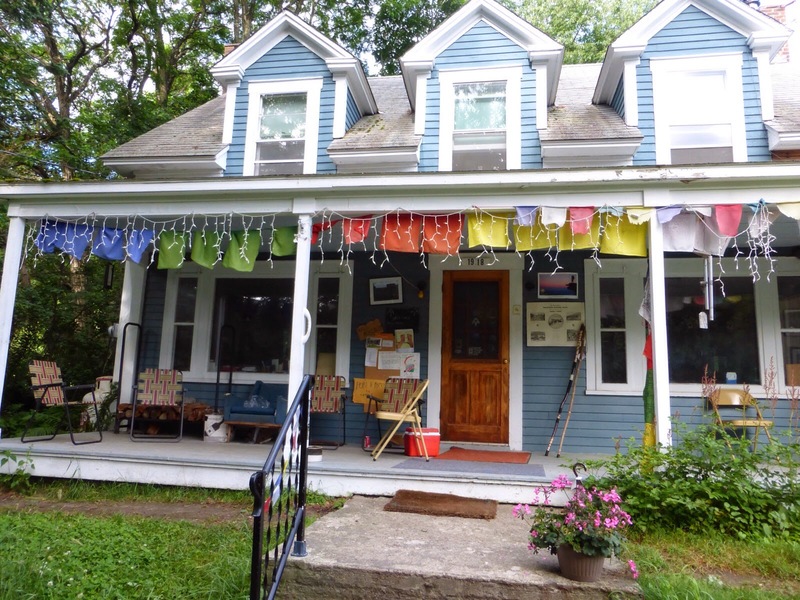 Soon into the hike this morning, I came upon the home of trail angel Bill Ackerly. 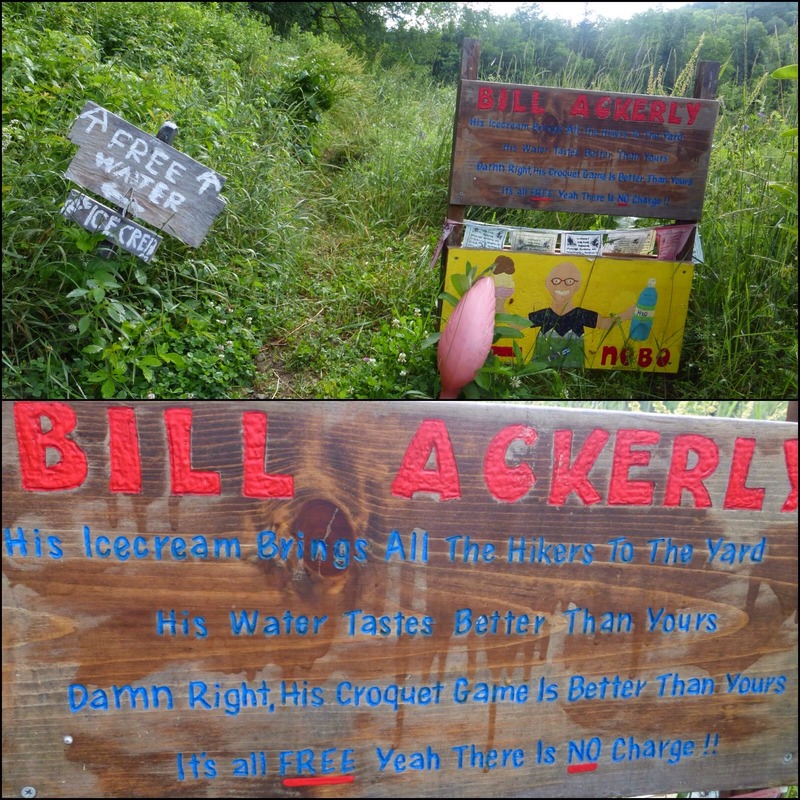 His home is right off the trail and he had a great sign posted on the trail. He wasn’t home, but had a cooler with ice cream treats in it open for hikers and it was nice to take a break on his porch for a bit. The hiking is going to be more time consuming with the Whites which have rocky ups and downs. Today wasn’t too bad, but the steepness in parts definitely slowed me. With the cooler weather, I didn’t mind the climbs and it was nice to get some rewarding views up top! 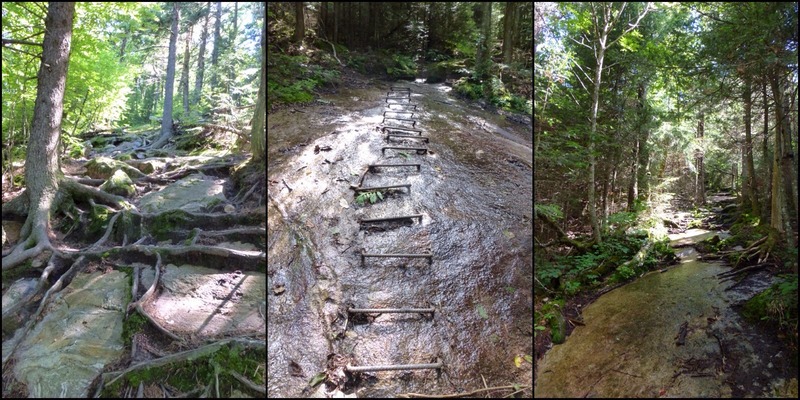 Here are some examples of the morning steepness on slabs of rocks. Apparently, I didn’t get a photo of the more rugged rock ascents in the afternoon. 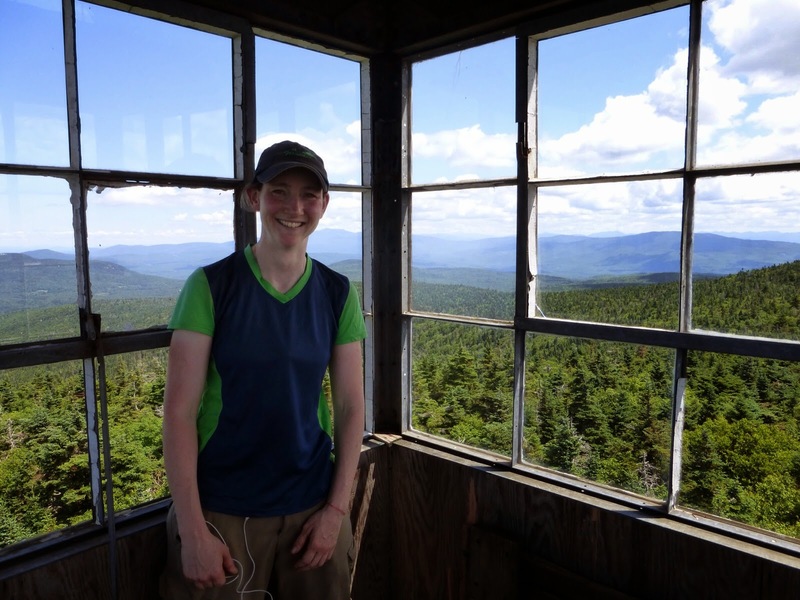 At the top of Smarts Mtn in the morning was a fire tower with nice views. The Machine was up there when I arrived and she took a picture for me. The first view and where I’m standing is direction we are headed. The Machine knows this area well and named some of the things we’d be hiking over in the distance. I have to say I imagined a more rigid rather than rolling mountain range as that’s what I’m used to seeing. I’m adjusting that it looks like big hills. I finished listening to Desert Solitaire today and it’s a good book for anyone that appreciates nature and the environment. I have just started Monkey Wrench Gang which is also by Edward Abby and many say it’s quite entertaining, so I’m looking forward to it. 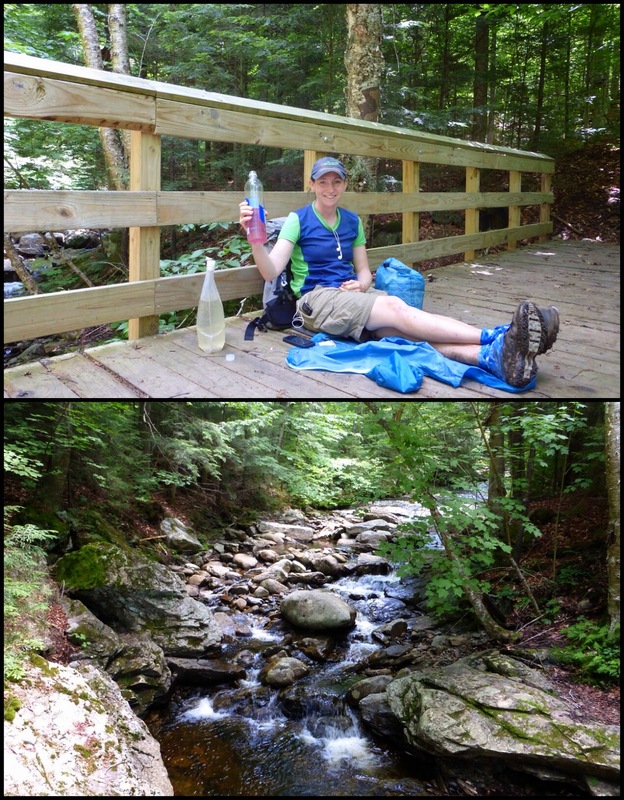 The morning went by fairly quickly and I got to eat lunch on a nice big bridge with a gushing brook below. I looked at my guide at lunch and saw that I could land at a campsite for early camping or push on and stealth camp like I tend to do. 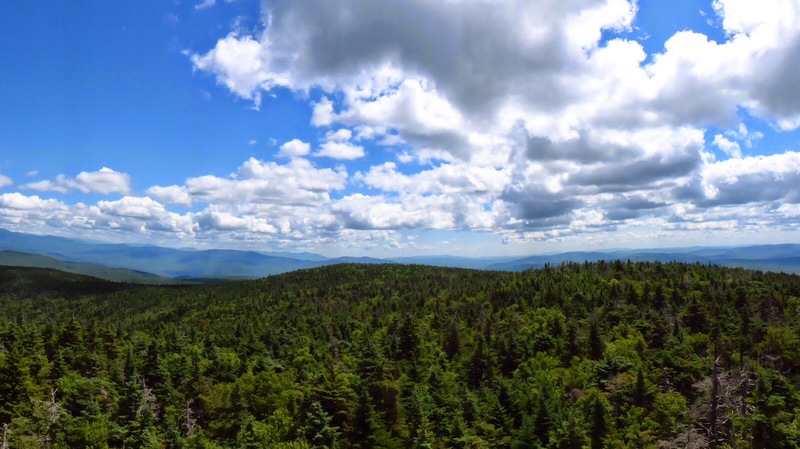 Either way, I’m aiming for a certain campsite tomorrow night that would be my first site in the Whites. As I hiked in the afternoon, I wasn’t in a lot of pain yet from cramps(that will surely come tomorrow), but I was quite tired and weak. 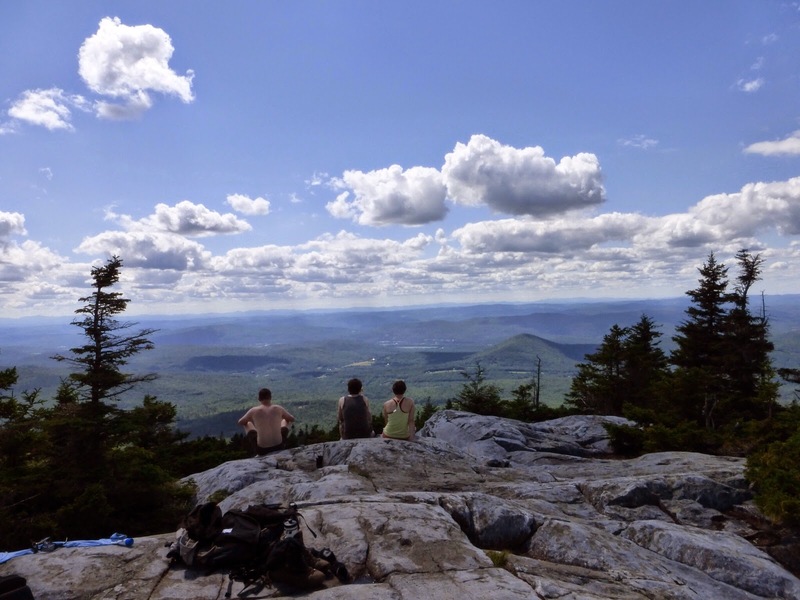 Here is a shot of some day hikers on top of Mt Cube. There was plenty of marshy muddy hiking at the low points today and it was very brushy before my final climb to the campsite. When I got to the campsite, it was an hour earlier than I usually stop and I’d normally would go another couple miles, but I was ready to stop and didn’t want to go two more miles to end in a marshy area. Plus, I had service and I knew I wouldn’t if I dropped low again. That sealed it for me and I decided to camp early at 5:30pm. I laid out my tent and laid on top of it before I pitched it like I usually do to test out the spot. When I laid down, my body became a weight and it did not want to get back up. It was spent and ready to sleep. Good thing I stopped cause I didn’t realize how tired I was until just then. The thing is that I somehow thought I’d done 24mi and it turned out to be 22, oops. I need to pay better attention and it does make sense since I started late and ended early. 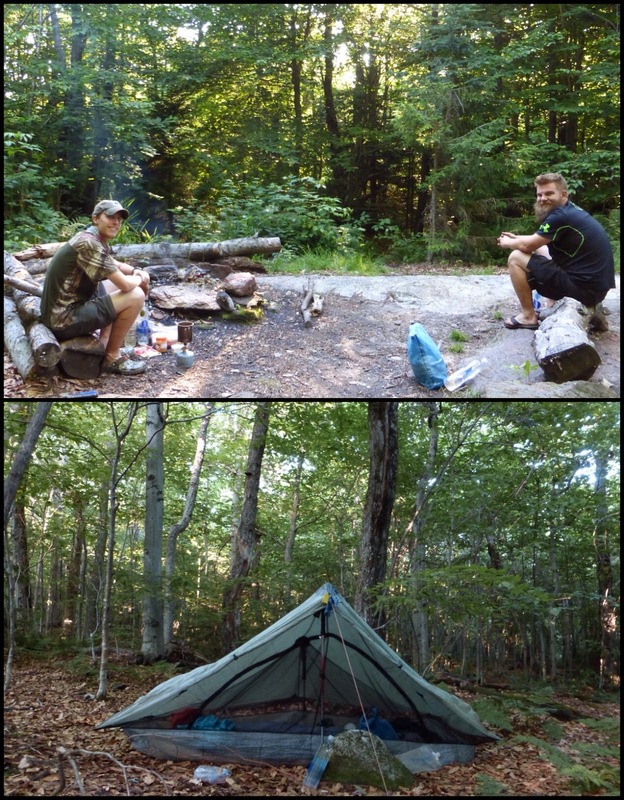 There were two thrus camped there. A NOBO named Flash and a SOBO named Fish. I’ve been seeing 2-3 SOBOs each day and that number will grow as this seems to be the first wave. 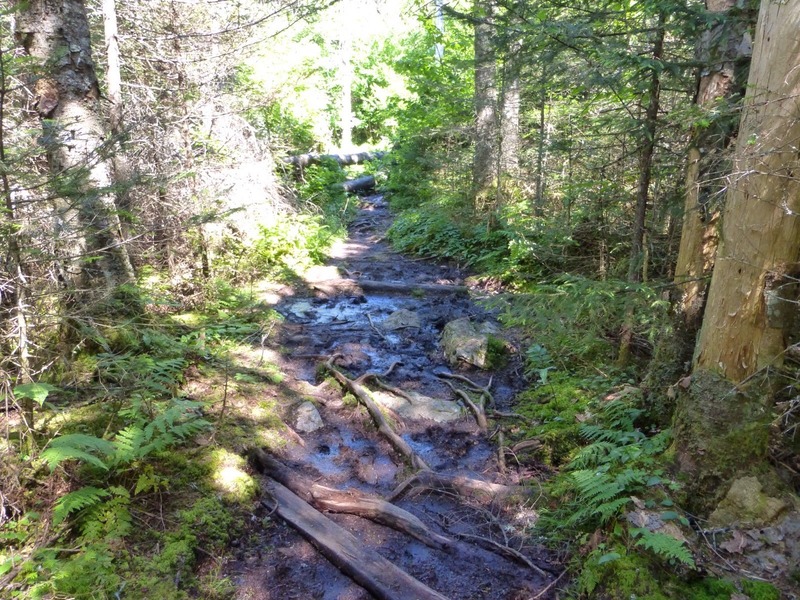 I’ll also mention that there is a lot of movement going on in the woods around the campsites. It is sounding less like bears and more like deer, elk, or moose as they trance around in the leaves like this and make more noise. May be an interesting night. This area was affected by fire in 2011 and used to have a shelter. 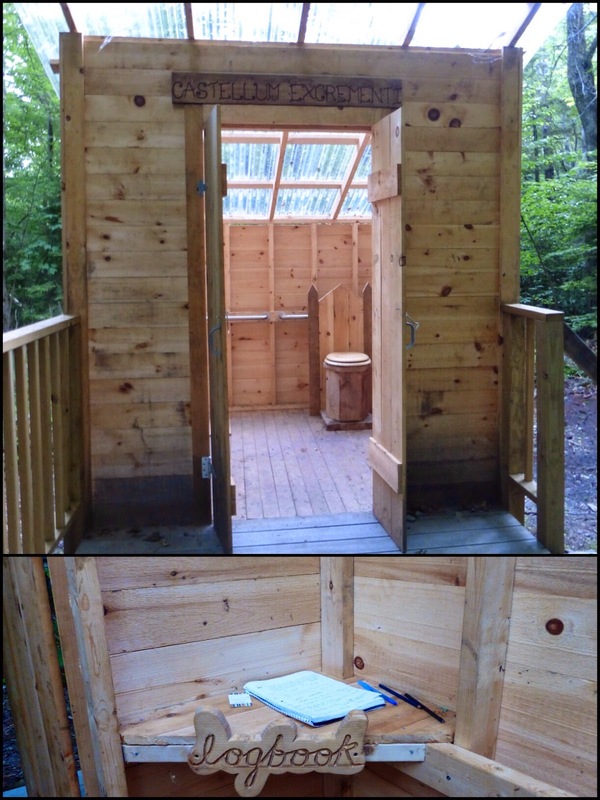 There is a brand spanking new privy(also incentive to stay here) that I just had to take pictures of. Flash said it’s like the Taj Mahal of privies, ha! Notice, it says “Castellum Excrementi” on top of the door and had a log book inside the privy, which has entertaining comments of course.